A couple of years after Facebook really took off in the Philippines, one web site brashly but erroneously announced itself as the first alumni social networking site in the country. In fact, Umpokan – although modest in terms of features in its earlier incarnation – was way ahead of the game. The word umpokan is a Tagalog word that is probably more frequently used in the province of Batangas than elsewhere. In its strictest sense, the word refers to a group of people huddled together, usually to gossip. Loosely, though, it can be used to mean a gathering or a group of people. 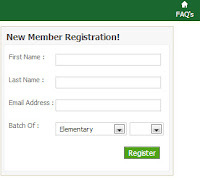 When I first took over the webmastering of the De La Salle Lipa web site back in 1998, I wanted the site to also be a place where alumni and alumnae of the school could take full advantage of the burgeoning medium of the Internet and reconnect with each other at least initially online. It could have been an easy decision to archive Umpokan. On the other hand, it was still very much a site to keep for bragging rights; and, indeed, there were still loyal users. Besides, we had many powerful servers at the I.T. room with plenty of storage available. That was why I started a subsection on the site through which graduates of the school could ask to have their e-mail addresses posted for former classmates and friends to see. That way, alumni and alumnae could rekindle old friendships at least by e-mail. The response was so much more than I could have hoped for; and before long I had to paginate the addresses alphabetically for easier navigation. 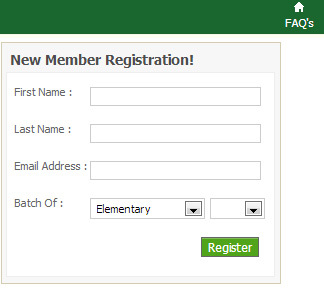 Initially a mere subsection of the DLSL web site, the e-mail listings had grown by 1999 to the point where I thought it deserved its own name. Because a great majority – if not all – of the addresses listed belonged to Batangueños, I thought the sub-site could but only be given a name any Batangueño would instantly understand. So thus, Umpokan was born. At the turn of the millennium, however, it was becoming apparent to many that the Internet was going to be a bane as much as it was a boon. For one, it was a mighty convenient way to spread viruses and other malicious software. There was this other unwanted evil of the Internet that was also at the time starting to become universal: spam. Small programs called bots crawled from server to server harvesting publicly posted e-mail addresses for spammers to take advantage of. In other words, Umpokan in its form then was quickly losing its viability. In fact, one or two alumni, complaining about the volume of spam that they were receiving, wrote in to ask that their posted e-mail addresses be taken down. Fortunately, by 2002, an alumnus by the name of Gil Panganiban of the high school class of 1992 came to work as clerk in my office. Although he applied for a clerical opening, Gil in fact came equipped with a Computer Science degree. He was the solution to my dilemma. Although I wanted the e-mail listings of Umpokan password protected in a system for which registration was required, I did not know how to go about it. While I could write HTML code with my eyes blindfolded, I was not a programmer. Gil was one; and I was damned if I would keep him to taking minutes and filing documents. By 2003, I had written the initial design for Umpokan as I visualised it and Gil was soon happily programming. In a couple of months, we were beta testing. Aside from the e-mail listings, Gil programmed features like log in and registration, a searchable member database and a personal messaging system. Modest, yes; but when Friendster and Facebook were becoming such hits, Gil and I quietly agreed that in Umpokan we had something similar if not exactly the same. Of course, by 2009, Facebook was fast replacing Friendster as the number one social networking site in the country. Because it was, the obvious question to ask was if Umpokan was still relevant. After all, people were already doing on Facebook what we hoped they would on Umpokan. Instead of retiring Umpokan, therefore, we agreed to give it a second upgrade and dress it up with Facebookish features. The alumni listings and personal messaging system continued to be the core of the redesigned Umpokan; but Gil also programmed the adding of ‘friends’ the same way one does in other social networking sites. Moreover, we had the graduation pictures of alumni from 1963 up to 2006 scanned from yearbooks and Gil programmed these into a searchable archive. In fact, I always got roasted by people that I worked with who were seeing how I looked like when I graduated from high school back in 1975. Umpokan continues to be available for free to all alumni and alumnae of the De La Salle Lipa. Far from becoming irrelevant, in fact Umpokan continues to evolve to make it more useful especially to fresh college graduates. 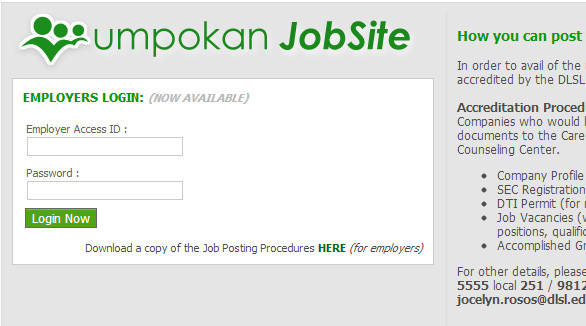 A job search and listing feature was added recently and employers are given accounts so that they themselves can post job openings. If you are a De La Salle Lipa alumnus or alumna who has not been to Umpokan, it’s about time you give it a try. Click here.